Listen up! 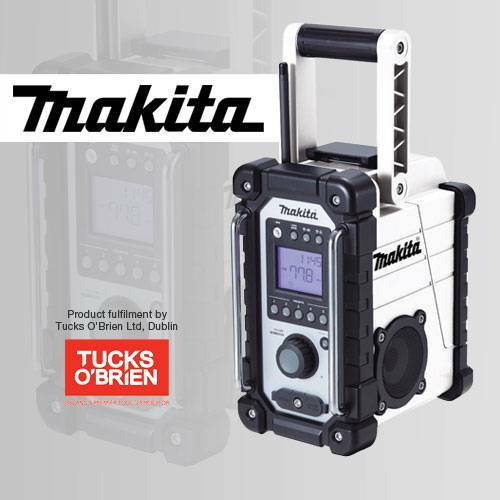 The Makita Jobsite Radio is ideal for any building site or workshop. It’s powerful and robust, combining versatile power options with an eye-catching design. Built from tough materials, it’s suitable for use outdoors – and it’s shower proof for up to 5 minutes. This device comes with a cable that lets you play your own music via your smartphone. Click 'Redeem' and your Makita DMR 102W White Jobsite Radio will be sent by courier to the address that you have registered with Dulux Trade Points. Please allow up to 10 working days for delivery. 1. Offer is valid for one Makita DMR 102W White Jobsite Radio. 2. 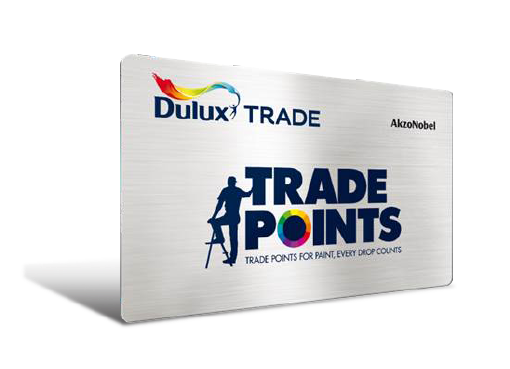 Radios will be sent to the address registered with Dulux Trade Points. Deliveries will be made using a courier. All Orders will be sent by registered post and will require a signature on arrival. 3. Radios will normally be received within 10 working days. Where possible we will try to meet all delivery requirements but neither Dulux nor TLC Marketing shall be liable for any loss incurred either directly or indirectly by failure to meet the delivery date and time indicated at the time of order being placed. ‘Loss’ in this instance includes loss of profit, costs, damages, charges or other expenses. 4. Risk will pass to the customer upon delivery. Neither Dulux nor TLC Marketing can be held responsible for lost, stolen or damaged headsets following delivery to the recipient. The Makita Radio will NOT be replaced or refunded if lost, stolen or damaged. 5. The promotion is not valid in conjunction with any other promotion and is subject to availability. 6. There are no cash or other alternatives and no cash refunds will be given. 7. The promotion is not open to employees of TLC Marketing or Dulux.